Line symmetry is discussed here. Let us follow some of the pictures or figures given below. Each is divided by a straight line. Both the parts are equal in all respects. 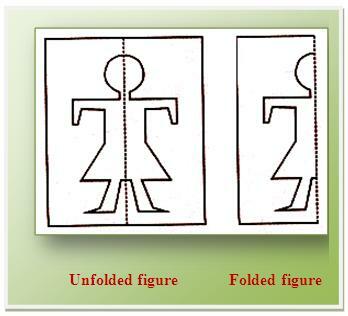 When the pictures or figures are folded along the straight lines, one part will fit or cover the other part exactly. 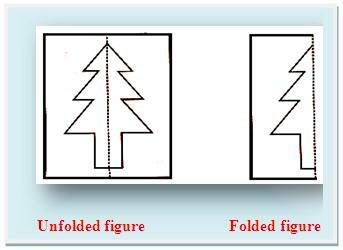 Such pictures or figures of which either of the two parts made by a straight line, covers the other part exactly when folded along this line, are called symmetrical figures. The straight lines are called the lines of symmetry of the respective figures. 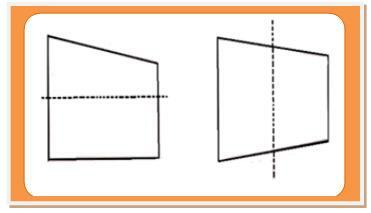 In the above pictures or figures the lines of symmetry are both horizontal and vertical. In the above figure the straight lines shown are not lines of symmetry. These are the basic and main points to understand line symmetry.